Research is part of every writer’s work. Years ago, writing my first historical novel, I discovered an eye-opening research resource close to home. My husband. 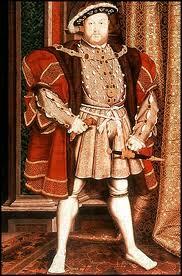 The Queen’s Lady is set in England during the reign of King Henry VIII. Now, Henry and my husband share no similarity regarding tyrannical rule and beheaded wives – I married a thoughtful, peaceable man. He is, however, endowed with the standard issue male anatomy, and this helped my research. Here’s how. In my first draft of the novel, I’d written a scene of a Midsummer Eve celebration in which boisterous revelers dance around bonfires, lovers steal kisses, and a drunk old man pisses as he staggers through the crowd. Wait a minute, I thought. Can a man do that – urinate while walking? “I’ll go see,” he said, and walked out the door. Thankfully, we lived on sixty rural acres, at the end of a dead-end road. Not a soul around. How about you? Any adventures in research?